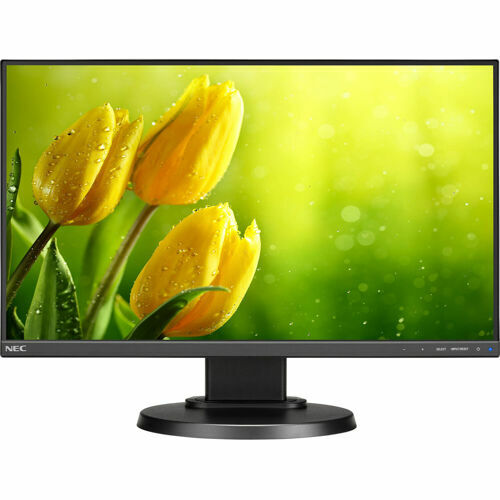 Viewing without interruption.The 22" NEC MultiSync E221N is an ultra narrow LED-backlit desktop monitor ideal for corporate environments. Designed to enhance work performance, this widescreen model features IPS panel technology with wide viewing angles (178° horizontal/vertical) and ergonomic adjustability including dual-direction pivot. The LED backlighting of the E221N allows for a slimmer profile, lighter weight and increased power savings and the unique thin bezel design is only 1mm thick. Securely mount zero or thin clients with the included mounting plate. The comprehensive input panel, including DisplayPort, HDMI and VGA, connects with the latest peripherals and future-proofs your investment.